We are a leading Manufacturer & Exporter of Timing Belts such as Timing Belt, T10 Timing Belts, Special Timing Belt and Polyurethane Timing Belt from India. Our expertise of this industry has enabled us to bring forth a wide array of Timing Belt. 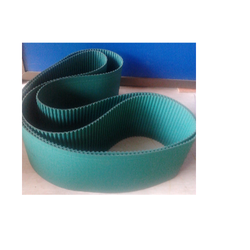 These belts are available in various models such as S2M-S3M-S4, 5M-S8M-S14M or Htd 3M, 5M, 8M, 14M. For high power transmissions these are designed with round shape tooth profile.These products are designed with round shape tooth profile for its high power transmission. Apart from this, our quality controllers also make sure that these products meet the set industry quality standards. Available in STD & HTD quality. Owing to the profound experience of variegated aspects of the industry, we have been able to come up with a plethora of Polyurethane Timing Belt. Available in T2.5-T5-T10-AT5-At10 and DL-T5-T10-AT5-AT10 models, these products are mainly have a steel wire and keviar cords reinforced belt that is designed with both side teeth look that find application in various industries. To fit the needs of our patrons, we are engaged in manufacturing and supplying a peerless range of Special Timing Belt. 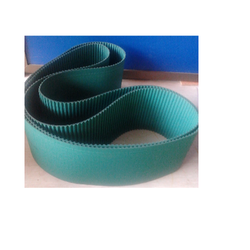 Available in DXL-DL-Dh-DS5M-DS8M-DS14M & D5M-D8M-D14M models, these are double sided belts that are manufactured utilizing high-grade raw material and other basic components. Apart from this, these products are provided with symmetrical teeth on both sides, which is best suited for positive and multi-pulley drives. Looking for Timing Belts ?